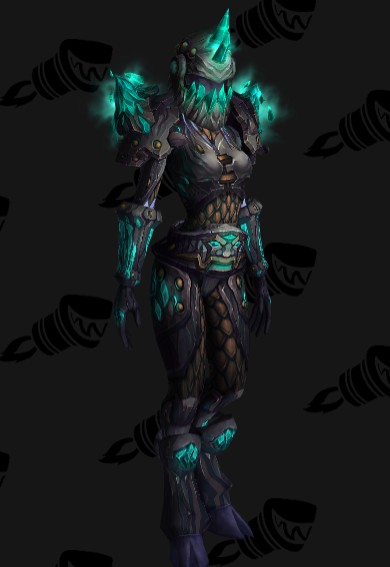 Everyone loves a good transmog, giving your character that perfect look. I don’t typically play a plat wearing character but I thought I’d round up some of my favorites in the game. 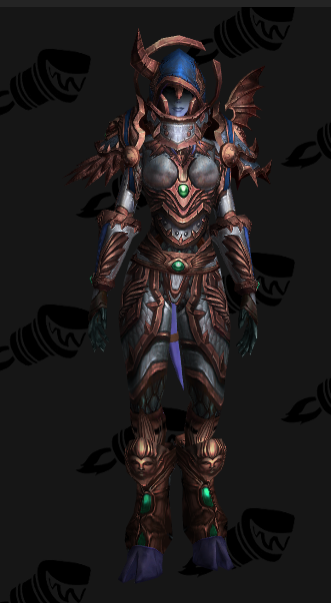 I know this one is an old school one but I really like the shoulders and the helm on this set. It really says Paladin to me, at least in that very traditional way you would picture paladins. Think Silver Hand, if you’re familiar at all with lore. That’s what I think of, them and Uther. 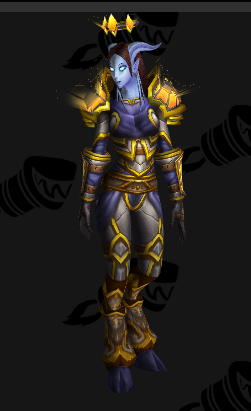 Most of the old school pally sets are overdone (yeah, you know which one I’m talking about) but I rarely see this one pulled off. I appreciate the good old stuff, I’m happy to see others do so as well. The thing with this set is that it was current content when I was playing. I was raiding as a druid but would see pieces of this drop randomly. I just have this nostalgia about the set. It’s not the prettiest, I mean it is nice, but I just always remember raiding and seeing this. Good times. It also says Warrior to me, rocky and hard but with that ‘I’ll stab you till you bleed’ spike in the head. My favorite of all plate sets. 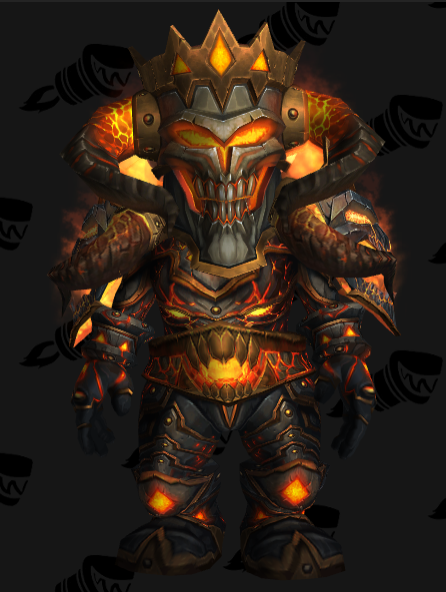 This has pulled off, better than any set I’ve seen for plate wearers, a great theme. Good and evil, angel and devil. It’s just amazing. I have it for my own Ret Pally and you better bet I wear this beauty around all the time. Look at all the wings! And curves! The pièce de résistance is that helm with the hood, giving the wearer a sort of anonymity. 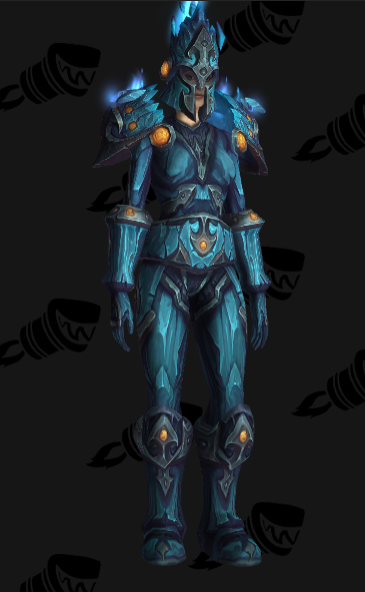 I just picture a dark and tortured Paladin in this, is she going to kill you? Or is she going to save you? Yes please! I’ll take all of this!